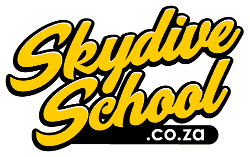 Skydive Robertson is situated at the Robertson Airfield, a touch to the east of the picturesque and historic town of Robertson. We are 147 kilometers from Cape Town at the heart of the scenic world renowned wine route – Route 62. The Western Province Sport Parachute Club (trading as Skydive Robertson) has been operating for 46 years years having first operated in 1972, and is the longest running Parachute Association of South Africa (PASA) approved drop zone in South Africa. Our GPS coordinates are S-33.811315, E19.902282. If you are coming from Cape Town, take the N1 through the Huguenot tunnel or over the pass, and on to Worcester. Turn right through Worcester and follow the signs for Robertson. Drive through Robertson along the R60 and when you reach the circle on the other side of Robertson turn left then turn right along the dirt road along side of the airfield. Alternatively you can get to Robertson via Sir Lowry’s Pass, Grabouw and Villiersdorp. You’ll pick up the R60 to the east of Worcester and then follow the signs for Robertson. If you are coming from Ashton or Bonnievale, when you get the the circle on the R60 before Robertson, drive north and then turn right along the dirt road along side of the airfield.